I like working smart and one way I found to do that was by making sets of handy charts to use during guided groups. 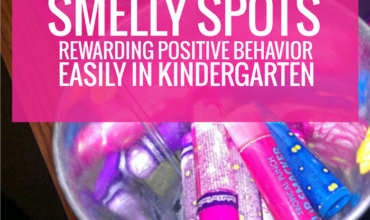 You can do this too – using your favorite materials! 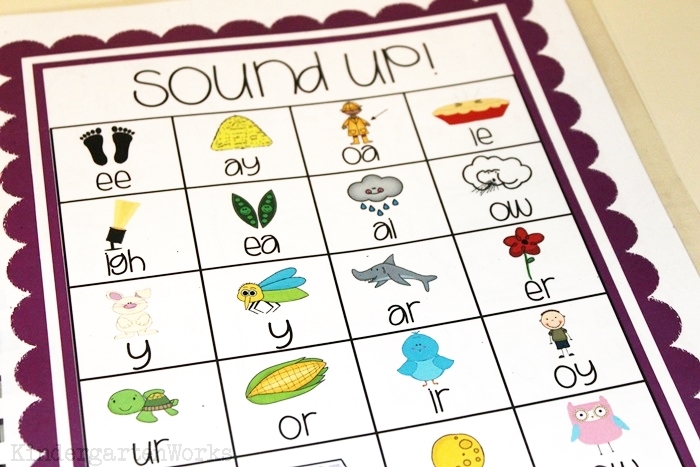 For my kindergarten classes – with a wide range of non-readers to 2nd grade reading levels, that included working from the alphabet to learning vowel patterns. I started by selecting the charts that we used regularly and/or every day in a warm up or was handy to keep out on the table as a resource for my groups. I laminated each page bound them together (affiliate). 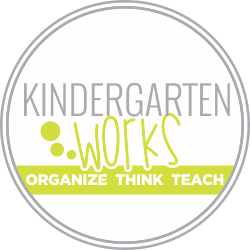 I made 8 sets – one for each child… just in case a group would grow rather large. I have 5 main guided reading strategies to use with beginning readers. I put all five onto the front cover to keep handy when reading with groups. This way I could invite and encourage students to try strategies simply with visual cues. 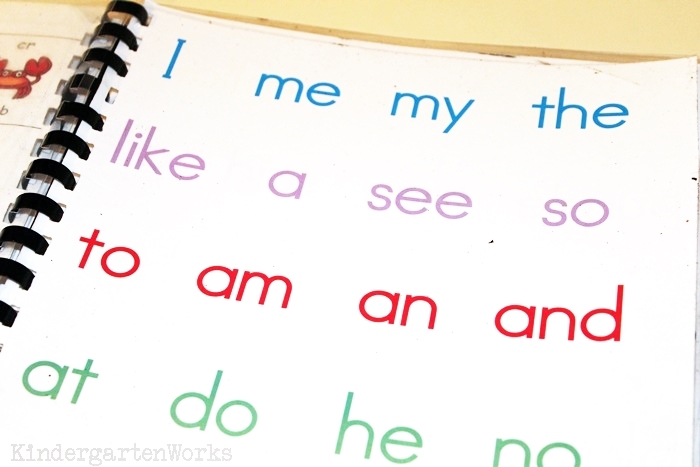 I never wanted my kinders to focus on only reading to read by sight, or only relying on phonics… so we’d keep the strategies in front. The focus of reading is being flexible to work through the text but to always understand what we read. This was probably the most used resource in our classroom. 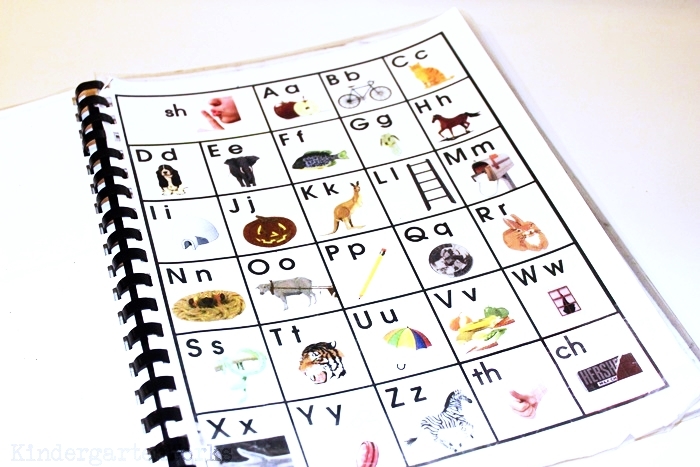 Having the alphabet chart handy during groups was a great support for students. For example, when they needed to figure out a word, but didn’t have all sounds yet – they could rely on having the chart handy. During games, they could learn to use the chart instead of simply waiting for someone else to give them the answer. And of course, it was handy to have enough sets to pass out one to every child. That way everyone is pointing and chanting along as we were learning each letter and their sounds. It kept every kinder more engaged to have their own copy in front of them. It’s the same principle as why I went to using math binders during calendar time. As a side note, the pictured alphabet chart is from an old reading series we kept… and then I doctored it up to include a few digraphs to fill in the otherwise weird and random blank spaces at the end. I wanted them to know there is always room to grow and be excited about it! So we’d graduate from the alphabet chart to working on some very common digraphs and blends. We’d treat it just like the alphabet chart – we’d create hand movements to go with each one and assign a chant (like “br /br/ /br/ bread”) as we’d work through it. We’d start learning just one row at a time and quickly grow. 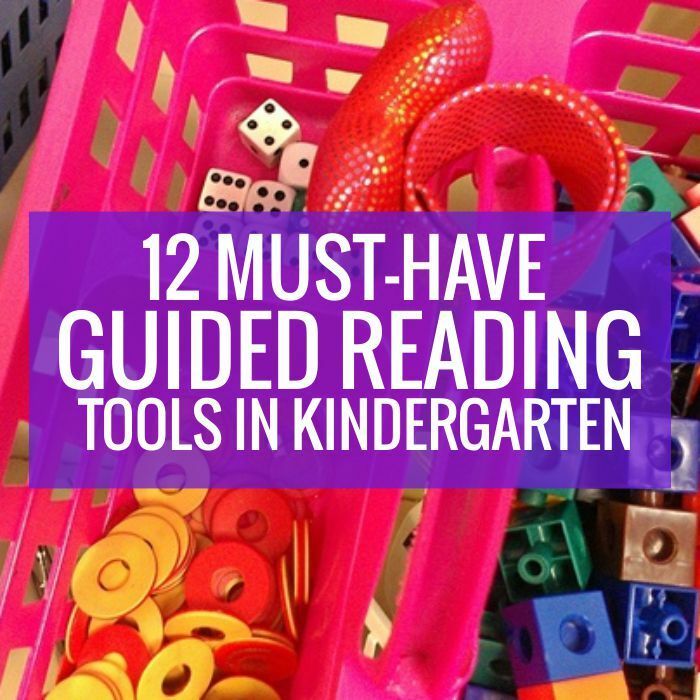 It was fun to see students use this set of tools to find larger chunks when reading. 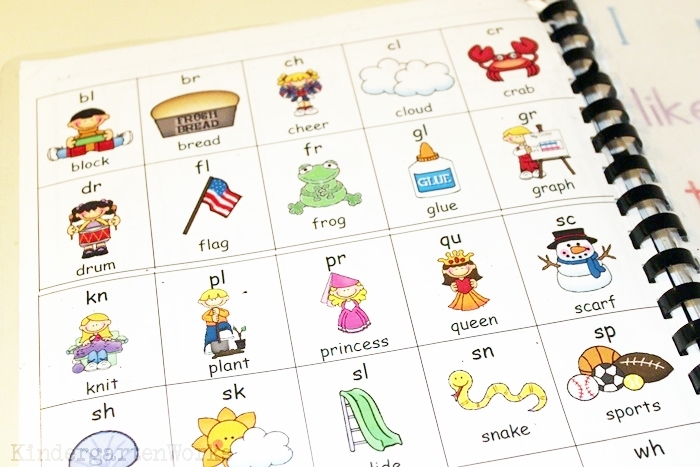 They’d become more fluent in spelling 4 and 5-letter words and continue to build their confidence in understanding some basics of how our language usually works. This next set covered us through the end of the school year, and though some students never used it (because they were working on previous mats) it was a great tool to have for those that were ready! I liked giving students the repetition of seeing these patterns in our language. They could quickly recognize these vowel patterns in their leveled readers and would totally experiment with them in their writing too. We’d assign hand motions to these too just as we did with the alphabet chart and blends/digraphs. 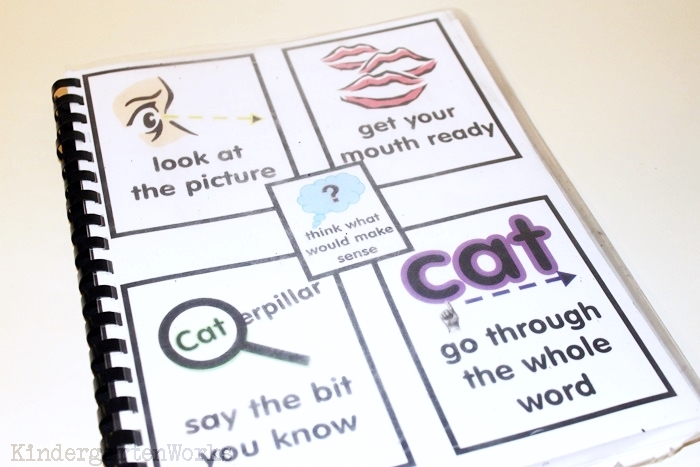 Having this on hand during guided reading groups gave students the support they needed to break down and put multi-syllabic and more complex words back together more fluidly. I used a chant to teach 48 sight words as our focus for the year. Students would graduate from the first 24 onto the second. We’d use these chants to follow along – each with a copy in front of them or to play various games. I wanted to see how fluidly students could write their core set of sight words in kindergarten and how accurately they could spell them. 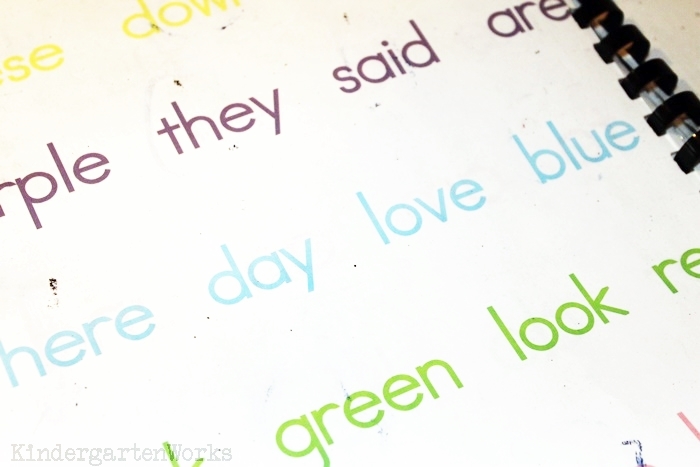 We’d use blank lines (matching the color from our sight word chants above) and I’d encourage them to sing the chant to themselves to write each sight word on the appropriate line. We would time it and they’d keep score for themselves and try to beat their own score the following time. We’d do this occasionally and it was insightful for me. I could see who had stronger grapheme skills and who would benefit from some additional kinesthetic work to fill in the gaps. 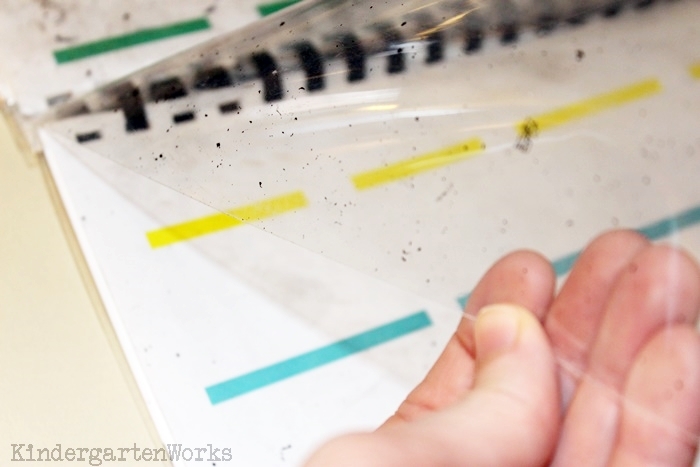 By placing a clear, sturdy plastic cover piece (affiliate) on top of these laminated sheets it created a see-through surface that was easier to erase. This way they held up all year long and didn’t get ridiculously smudged by dry erase markers. This handy set of mats were easy to pass out, keep everyone engaged and would work with any level group. I’d simply change which pages we’d work on as part of our warm up routine. Think something like this might work for you? After reading through I did not see how many pages are actually bound? Is there a complete list of mats inside? Well, I’d print most of mine back to front but there were probably 8-10 pages of content total. 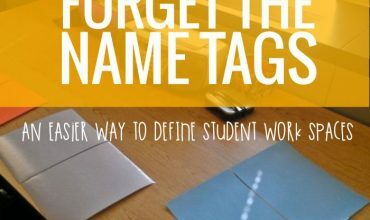 Love this idea and can’t wait to try it out! 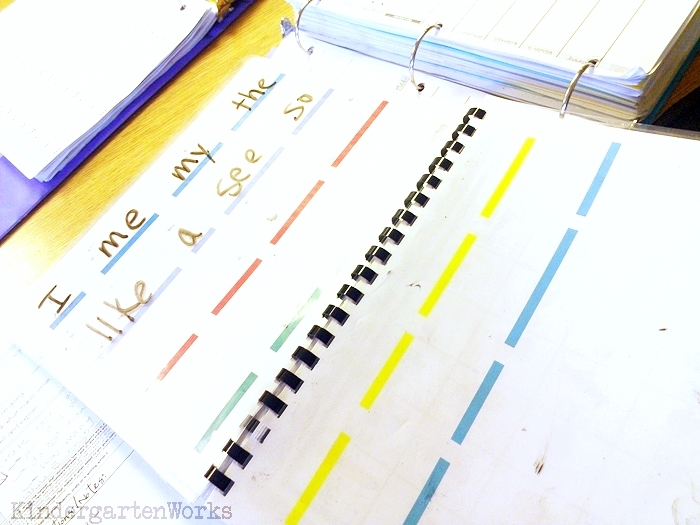 Do you sell the writing template with colored lines to practice spelling sight words? Thank ou! They are the best books I have made! Thanks for sharing!